Canberra’s changing landscape: The former Red Hill public housing precinct is up for sale. 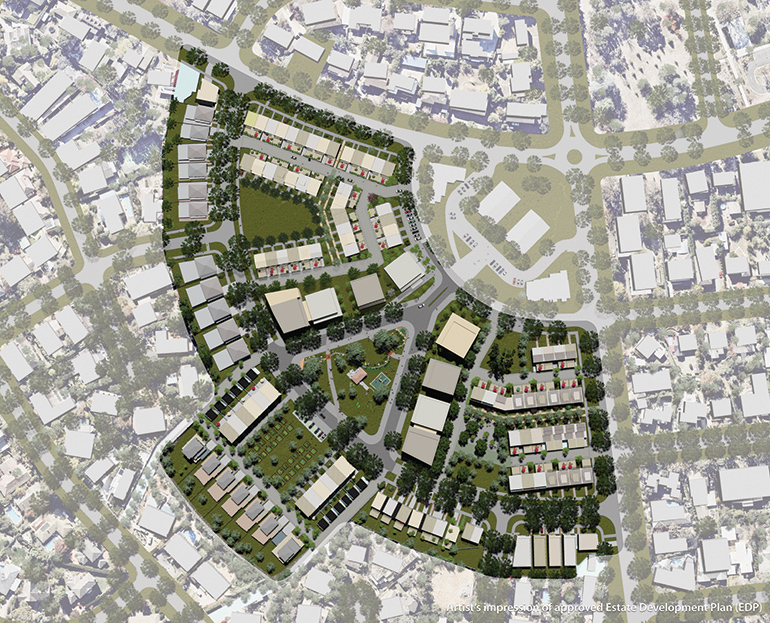 Tenders have been called for the sale of the former Red Hill public housing precinct, after the approval by the Planning and Land Authority of plans for the development of 252 homes on the 5.3 hectare (53,002 square-metre) site. JLL and Colliers International are the sale agents for ‘The Precinct Red Hill’, which they describe as a luxury Englobo opportunity in the heart of Canberra’s south. The ’boutique village neighbourhood’ in “one of Canberra’s most sophisticated suburbs” will contain approximately 108 detached and terraced single residences, all with individual Crown leases, and between 83 and 144 multi-unit apartments. Colliers says the heavy lifting has been done. “All that’s needed is a unique developer’s vision and a strong desire to create Canberra’s latest legacy,” it says. Minister for Planning and Land Management Mick Gentleman said the new development would be an exciting new urban renewal opportunity for the Red Hill area. He said there had been comprehensive community engagement on the development plan, including a series of workshops that provided community members an opportunity to contribute to the overall estate design. “It was great to see so many members of the community come together to share their ideas which have made up the final estate development plan,” he said. Mr Gentleman said that planning measures outlined in the development plan buildings would ensure residents retained solar access and views. The Minister said a technical amendment would now be prepared to give effect to the estate development plan and be open for public comment. Under the Planning and Development Act 2007 this was a minor amendment that clarified the planning provisions previously agreed in the estate development plan. It is also part of the Asset Recycling Initiative which is an agreement with the Federal Government to sell ageing assets and reinvest the sales proceeds in infrastructure. The Federal Government will provide an additional 15 percent of the sales price to the Territory to fund infrastructure. Under this program, settlement on the site must occur by July 2019. Demolition of the former public housing buildings is continuing and is due to be completed by March 2018. Tenders will close on Thursday 1 March 2018. 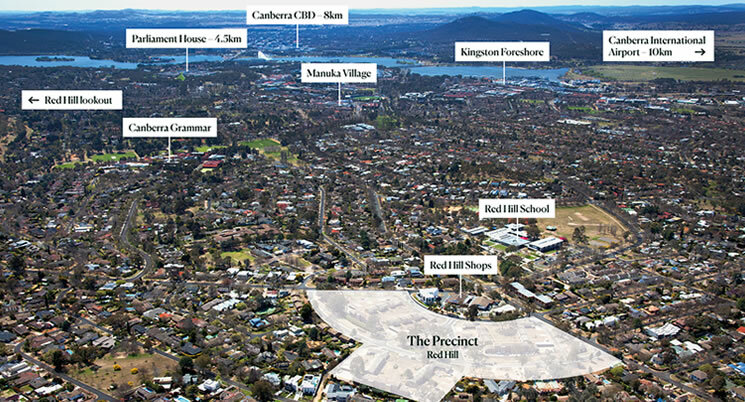 For more information and to access the tender documentation visit: www.theprecinctredhill.com.au.